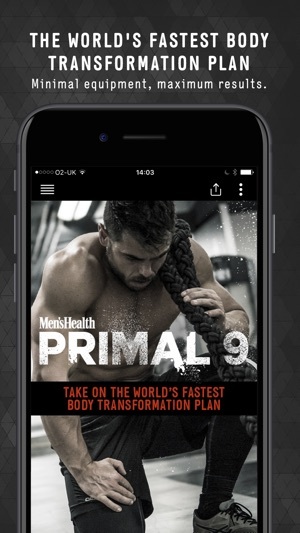 Created by athlete adventurer Ross Edgley and the experts at Men's Health magazine, Primal 9 is the world's fastest body transformation plan: a nine-week training system designed to strip fitness back to its most raw, real and enjoyable. 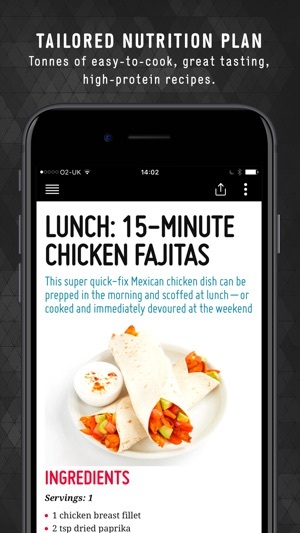 Download now and take on the first week of workouts for free! Primal 9 uses easy-to-follow nutritional principles, primitive movement patterns and minimal equipment to make you leaner, stronger and more powerful. • Accessible to everyone – male or female; old or young. All the workouts require just a pair of dumbbells, a bench and a weight plate. • A balanced and sustainable plan that burns fat, builds muscle and supercharges your fitness levels at the same time. • No need for a gym membership. • Simple exercise demos for every move. • No exotic superfoods or expensive supplements. • Easy to cook recipes and foolproof nutritional principles so you can fuel your body transformation quickly and on a budget. • Never go hungry. Eat more. Spend less time training. Get fitter faster. • 24/7 remote personal training through the email address primal9@menshealth.co.uk. Need advice? Not making the progress you want? Let us know and we'll help you out. The Primal 9 training programme is split into three phases, each lasting three weeks. You'll start by doing four workouts a week: a push session, a lower body session, a pull session, and a circuits session of Caveman Conditioning. As you move through the weeks and phases, we'll add in a core session, and your workouts will become progressively tougher to match your increasing fitness and strength levels. Before you begin the Primal 9 training programme – and at the end of every phase of the plan – you'll do a fitness test: The Centurion. Not only is this a great workout in its own right, it will also allow you to gauge your progress in terms of how your aerobic capacity, stamina and strength are improving, alongside the changes to your physique. Every week for all nine weeks of the plan you'll be doing one session of Caveman Conditioning. This is a high intensity circuit of simple body weight movements designed to push you to your limits through quick exercise bursts and minimal rest times. After your Caveman Conditioning you get two days off, so push yourself as hard as you can and focus on the rest day reward just around the corner to get you through. When it comes to building muscle and burning fat, nothing is more important than what you put into your body. You can storm through every rep and every set of every workout, holding huge weights and with perfect form on every move, but unless you're eating the right things you won't see decent results – and will soon start to feel fatigued and grumpy. The Primal 9 Nutrition plan keeps things simple, inexpensive and easy-to-follow. You'll be using guidelines, not specific prescribed meals – though we also provide a huge range of recipe options for all your different meals and snacks, too. 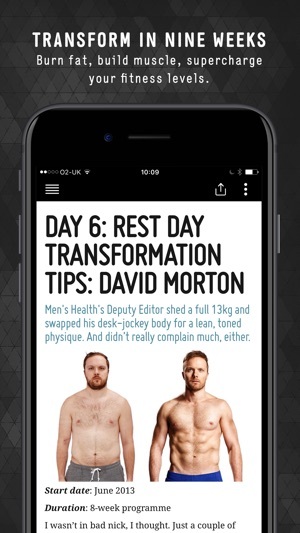 As well as social media support and tuition throughout your Primal 9 challenge from Men's Health, Ross Edgley and everyone else taking on the challenge using the hashtag #primal9, we also provide email support throughout your nine-week challenge. Simply send your questions, problems or concerns to primal9@menshealth.co.uk and we'll endeavour to come back to you within 24 hours. 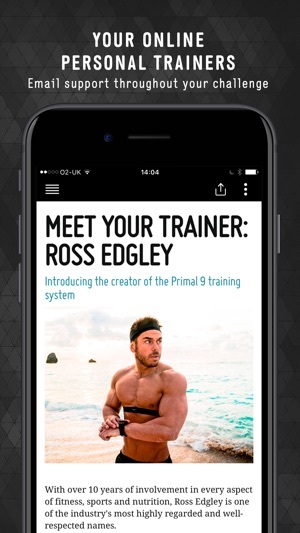 To unlock the entire Primal 9 training system and get access to the Men's Health team and Ross Edgley as your personal trainers, simply purchase the entire plan from within the app for £47. This is your nine-week ticket to total body transformation. Download and start the plan today!